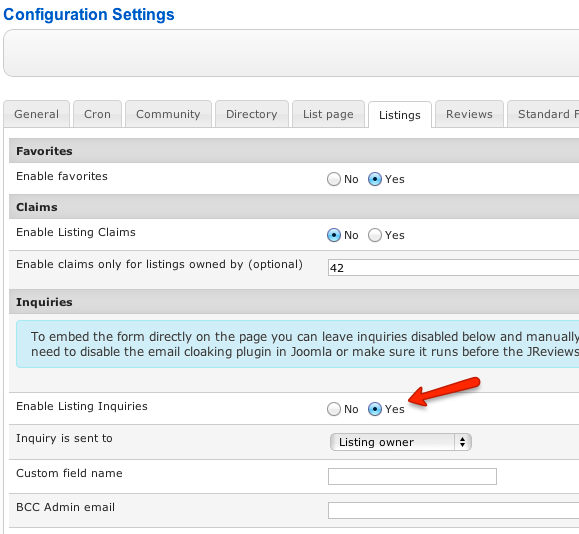 Important:If you choose this option, you need to disable the email cloaking plugin in Joomla or make sure it runs before the JReviews plugin. If you allow guests to submit listings without registering and you select the email to listing owner option, inquiries will not be sent out for listings submitted by guest users. This is because guests are not listing owners and cannot even edit their own listing. Only registered users are considered listing owners. 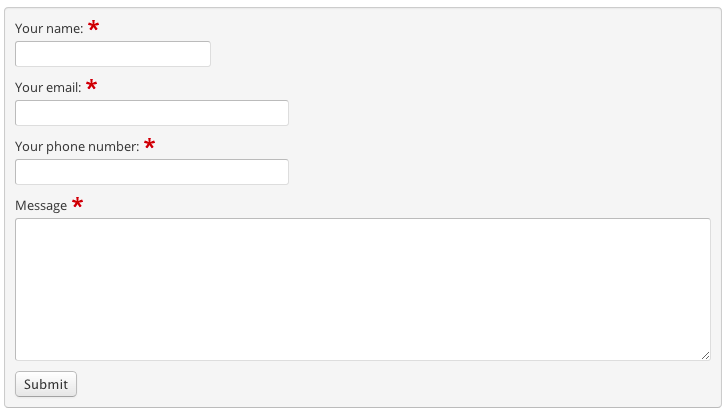 If you wanted to allow inquiries for guests, you could use a custom email field for this purpose. and replicate the code of one of the other fields. 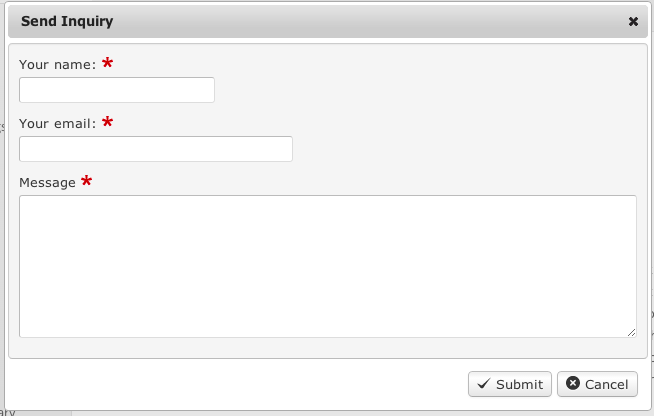 To include new fields in the inquiry email they need to be added to the email theme file. The best way to ensure you don't lose your customizations for the inquiry form after an update is to use JReviews Code Overrides.